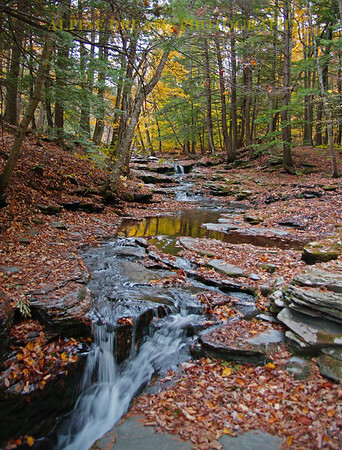 The Catskill Region in New York have much to offer all year long. 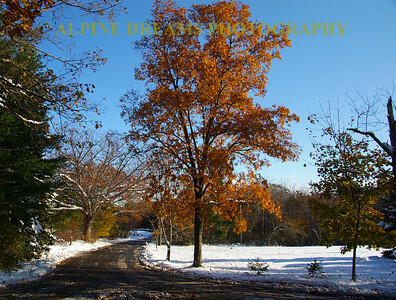 These are some shots I got over the last few years in my trips to CRYSTAL BROOK Lodge in ROUND TOP NY. 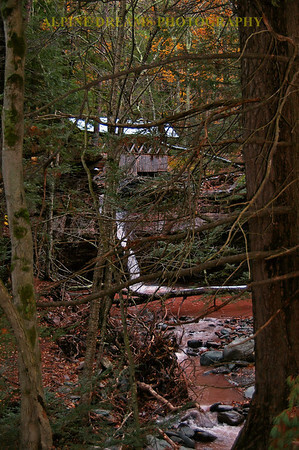 Side trips to parks in the CATSKILLS and local hikes around this authentic German Lodge are a wealth of photo opporunities. 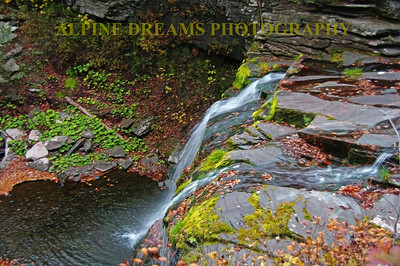 I will be adding to this Gallery as time goes by as I will return to the Catskills again and again! There is about a foot of fresh snow on the sign of the BREW HOUSE at the Crystal lodge in Round Top NY. 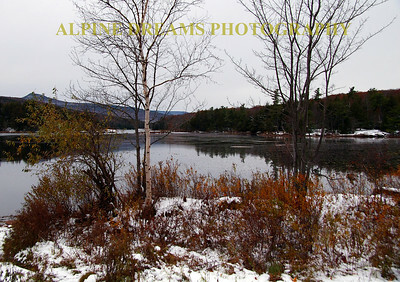 This was taken on Sunday morning October 30th, 2011. The Brew House is a great place to visit a couple times a year at the least. 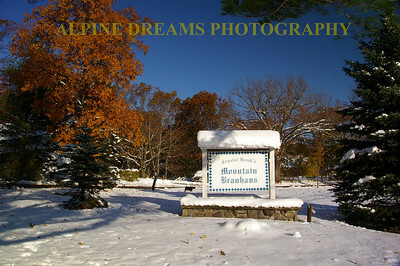 Check out the foliage and the owners dog Snitzel behind the sign! AWESOME place to escape the rat racce for a couple days! 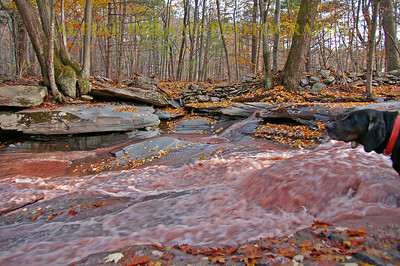 I call this Chocolate Falls in the Fall. 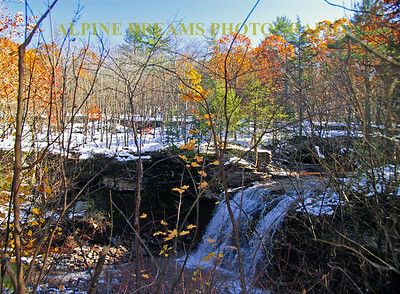 Due to the recent storms there was a lot of color in the roaring brook and Falls this year. It kind of looked like Yooho Chocolate drink. 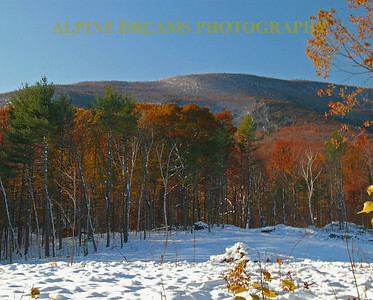 I called this Burst of Fall with Snow! 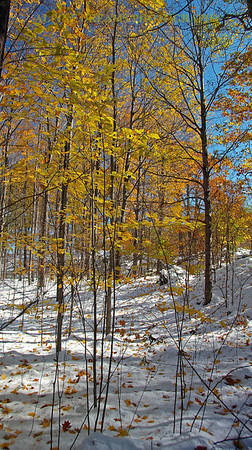 Between the yellows, browns, blue & white it stands out pretty bright! 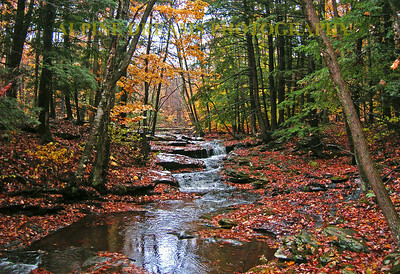 Called Crystal Brook Beauty this portion of the brook near the falls puts you in a quiet place.. The water is usually crystal clear. In later pages in this Gallery you can see what I mean. 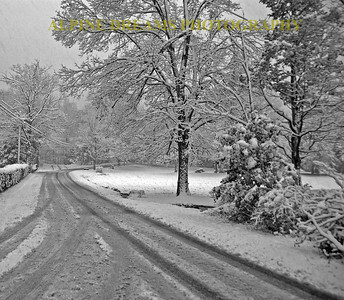 The Snowstorm as seen from the Crystal Brook in Black & White! 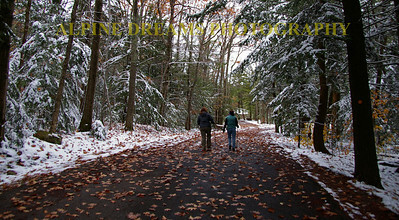 Called Winter-Fall Art the title says it all. Check out the flock on the branches. This is right before the storm! 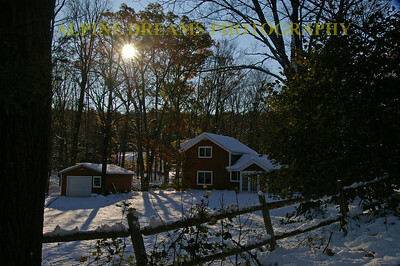 I called this Red House revisited. 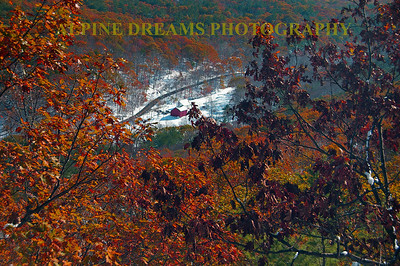 I shot it from pollys rock and have a similar shot from 2 years back in a rain storm further back in this Gallery. 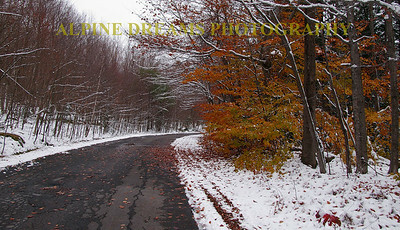 I had better conditions in the Snow but both shots came out pretty well! 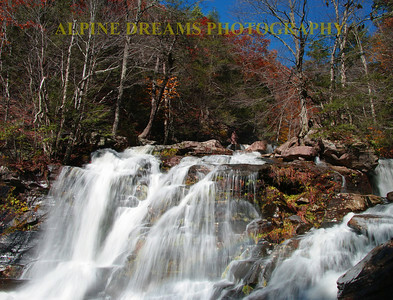 These CASCADIND FALLS right near the Crystal Brook are a sight to see. 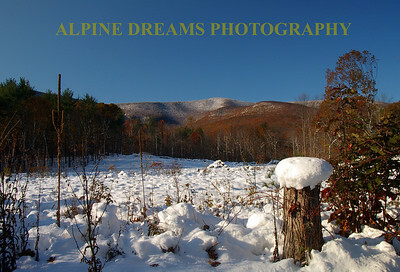 The scenery here is always different and constantly changing. 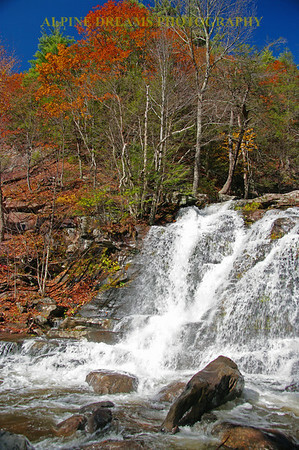 This crystal clear water is seen here dropping over the top to the base below. 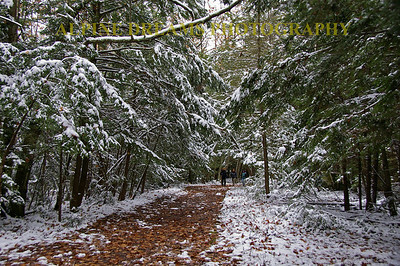 I shot this in late Fall of 2009. 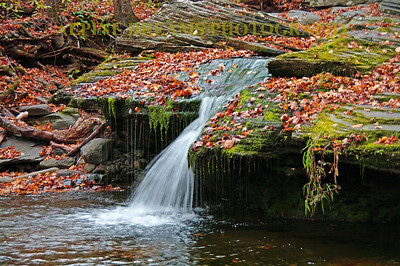 CRYSTAL BROOK BEAUTY IN THE FALL name says it all! 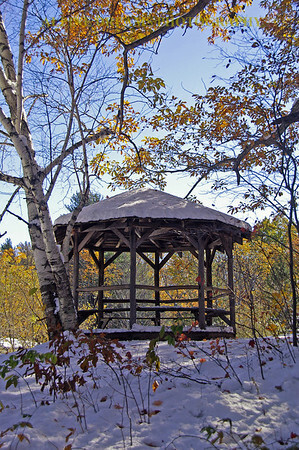 This pedestrian Covered Bridge is a short walk from the Crystal Brook Lodge. 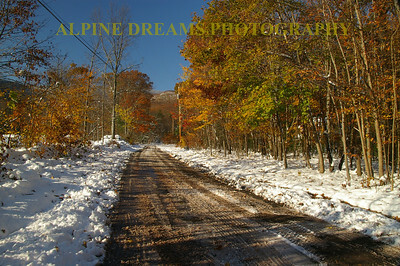 This was shot prior to the Snowstorm on October 29th,2011. I shot several different shots of this bridge over the years and each time it still impresses me. 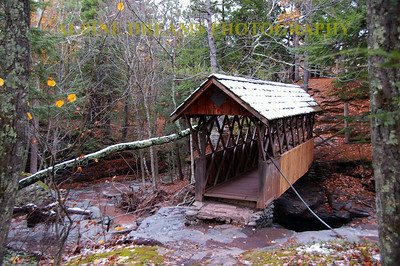 This shot is a little further out showing the light coat of snow on the bridge. 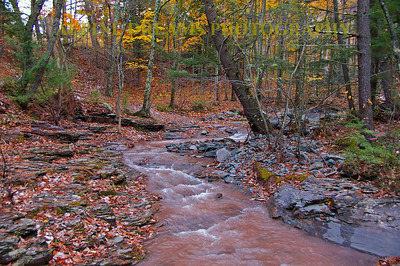 Closer to the Overlook in the Catskills near Hunter the colors here are amazing! 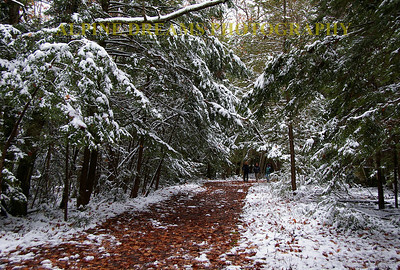 Called Lake Fall Snow there are 2 lakes on the hike to the overlook. Very Very Peaceful! Snitzel was always leading the way. 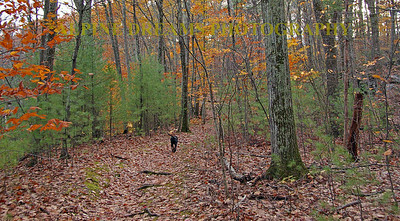 Here he is heading back from the Falls. It must be near Dinner time! 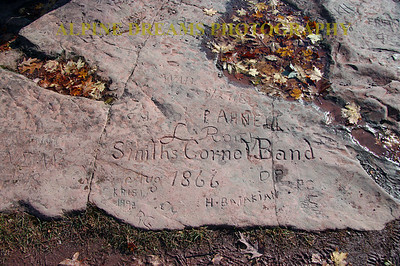 Called OLD ETCHINGS at the OVERLOOK I had often wondered why someone would go up to the top of that ledge in the 1800's to carve their information into the stone. 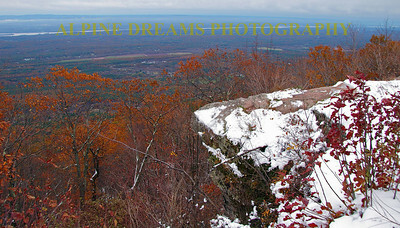 Some carvings are quite elaborate and on my last trip in October,2011 I found out about the Grand Hotel that once sat atop this OVERLOOK ridge with thousands of yearly visitors. 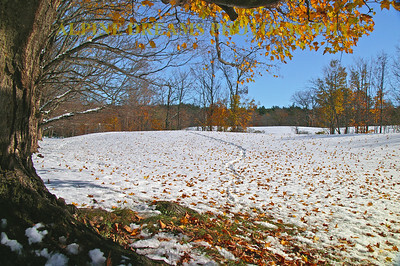 Check out the old etchings if you get here when the ledge isn't covered in Snow! This Stately Hotel sits up the hill a short walk from the Crystal Brook. 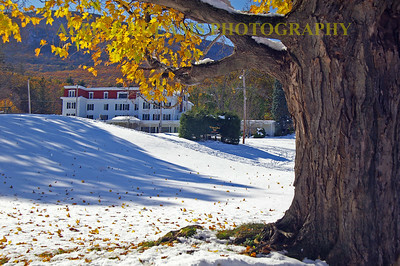 The massive tree trunk frames the Hotel with the mountain in the background. 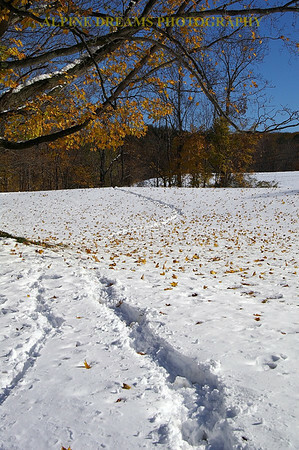 The snow with fresh fallen leaves are a rare bonus! 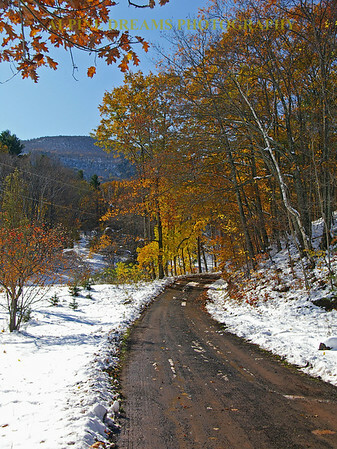 This country lane also near the lodge has a great view of the hills and the fall colors with the surprise addition of some October Snow. 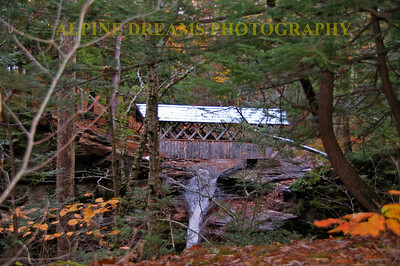 I called this Covered Bridge Pre Snow. Check out the base pool of Chocolate. 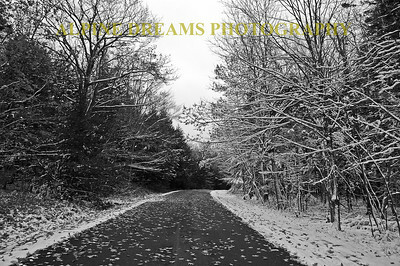 Early Morn Early Snow this looks like Christmas and not the day before Halloween. 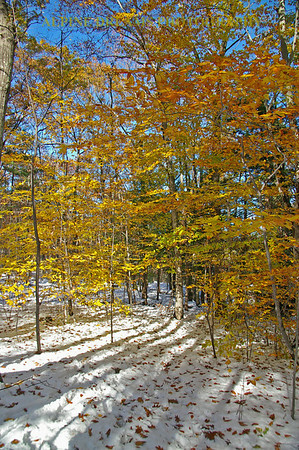 Of course the orange and yellow leaves on the trees give that away! Snitzel the local dog at the Crystal Brook has been our Hiking companion ever since we started going there. 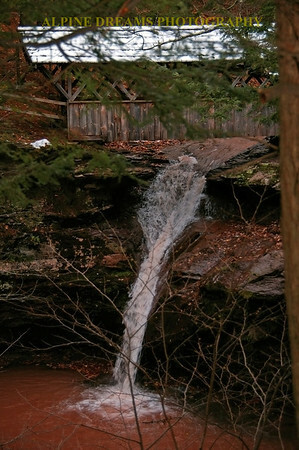 Check out the Brown water and the force it has for late October. 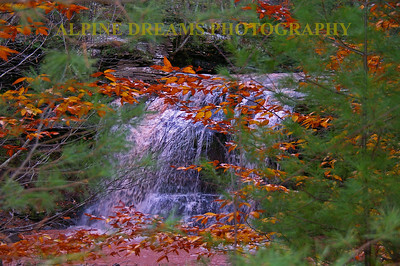 Called late Fall, Falls Color Fiesta this was shot in late afternoon but the foliage and the falls made this pop. The water was already getting clearer! 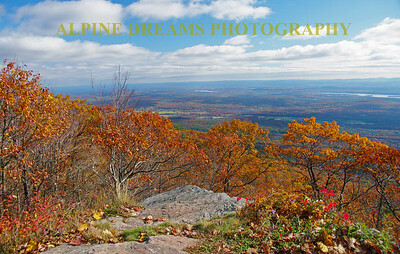 Catskill Overlook on a Bluebird Day in late Fall of 2009. AWESOME VIEWS! 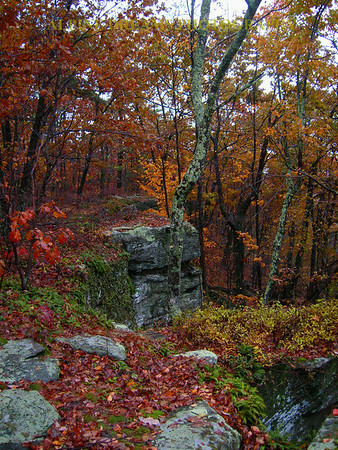 This rock ledge is on the overlook in the Catskills. That is the Hudson River in the background. Back in the 1800's there was a huge Hotel that sat atop this ridge and it was enjoyed by the jet setters of that time period. 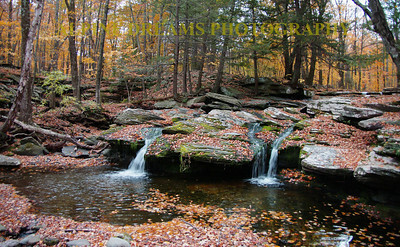 I call this Triple falls I shot this a couple years back on the Brook same time of year but warm with a light rain. 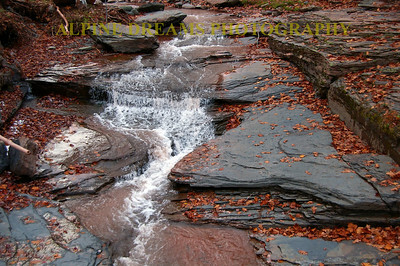 I loved the colors and the soft flowing falls in this particular trip. 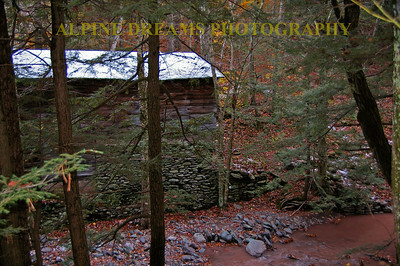 On the upper trail near the pedestrian covered bridge this old mill looks great with a light dusting on the roof. 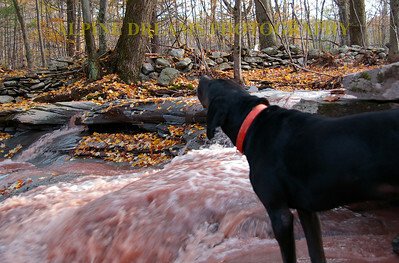 Check out that stone foundation along the muddy brook. 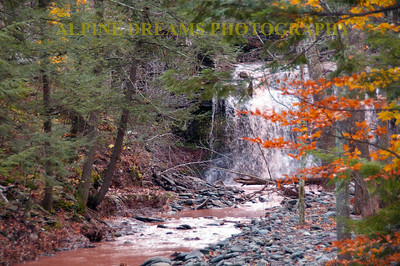 Called Cascading Crystal brook this shows you the tranquility of this place in the fall. Note the clarity of the water and the reflection of the yellow tree in the quiet pool in mid-frame. This was shot right next to the Brew House. Love that color! 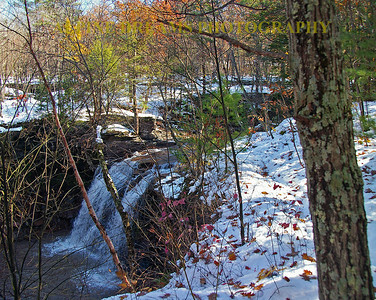 Catskill falls were awesome this particular day. 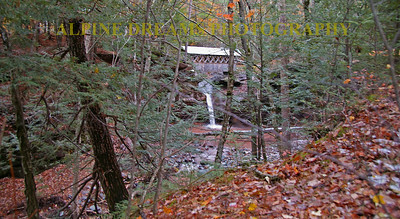 On a hairpin turn on the way to Hunter these falls are Awesome. If you have never stopped here before I would advise you try it if the weather is good. There is a small parking area a little North of the Falls on the southbound side of 23A. Worth a look! 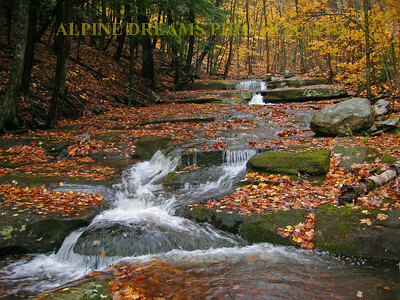 This shows the pure beauty of the Brook in the fall even though there is a slight rain falling. It did make the leaves shine!